January 21, 2019 - by Paul Farol - 3 Comments. Ormoc City Mayor Richard “Goma” Gomez sure didn’t waste time exposing his inability to provide good governance to the people who elected him in 2016. By these international standards for good governance and according to personal accounts of residents of Ormoc city, Gomez’ regime appears to be headed towards catastrophic failure and the people of Ormoc are bound to suffer greatly from his bungling attempts at leading their city’s government. But how could he govern his city when people from Ormoc City tell me that he scarcely reports for work at the City Hall? The ongoing joke amount Ormoc City people is that Monday is “No Paper Day”, Tuesday is “No Plastics Day”, and Wednesday to Sunday is “No Mayor Richard Gomez Days”. People whom I am not even friends with on Facebook messaged me that both Mayor Gomez and wife Congresswoman Lucy don’t reside in Ormoc. The couple are said to live in San Juan most of the time and the longest stretch of time that Mayor Gomez was in Ormoc was for the shoot of his movie with Sharon Cuneta — a period that barely lasted three weeks. 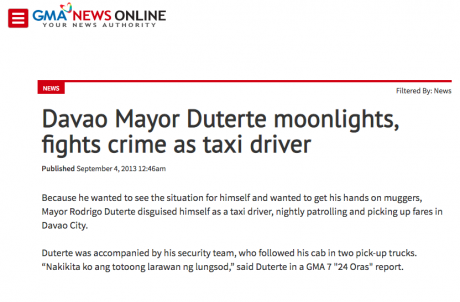 Gomez’ absenteeism is the complete opposite of the leadership shown by President Rodrigo Roa Duterte who, even during his off hours, patrolled his city’s streets disguised as a taxi driver. Moreover, let me also mention that Senator Richard Gordon, when he was mayor of Olongapo City, was so hands on in delivering good governance to his people that he was known to sweep the streets of Olongapo along with his people. As I have pointed out in the post before this, only weeks after assuming office as Mayor, Gomez drove his city treasurer out of Ormoc after she refused his orders to release payment for a P10 million dancing fountain project that was completed without the required public bidding. 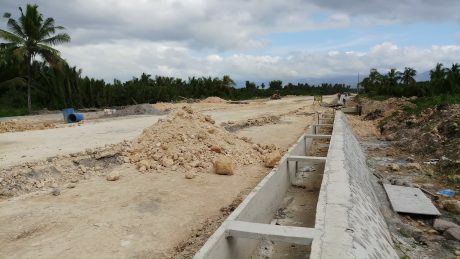 Months away from ending his first term, Gomez committed another blunder when he allowed the destruction of part of the Naungan mangrove forest to make way for a P137 million by-pass diversion road. 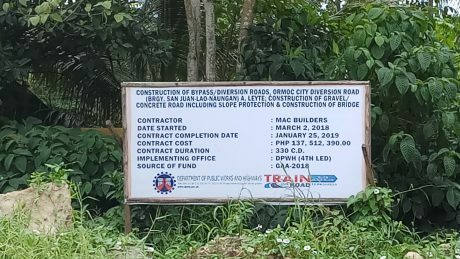 Not only did the construction of this road destroy part of a mangrove forest that protects inland residents from storm surges and waves, word is that the project was done at the behest of Congresswoman Lucy Torres Gomez (the wife of Ormoc City Mayor Gomez) and the contractor, Macbuilders enjoys preferential treatment from the Gomezes similar to the treatment given to the company CT Leoncio whose owners are allegedly related to Budget Secretary Benjamin Diokno. Even worse! The gravel and concrete road project was still all dirt and mud when I saw it, less than a week away from its completion date. When I wrote about how Gomez maltreated his city treasurer after advising him against issuing a P10 million check for an anomalous project and when I called out this apparently environmentally disastrous road project, I didn’t expect Mayor Gomez himself to start calling me a “paid hack” and protector of drug lords. Even thought I am still skeptical that the Facebook account Richard Goma Gomez that engaged me in the comment section of a post on Leyte 4th District Freedom Wall really belongs to Gomez and that it was really him engaging me, a casual check on the account’s wall shows that it is friends with a couple of reporters whom I know and this to me is a strong indication that it is indeed Gomez’s Facebook account. 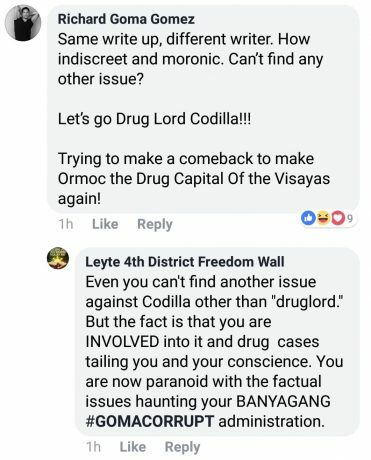 Although it boggles me why he would choose to lob bare accusations in a post on Leyte 4th District Freedom Wall like a stupid yellowtard instead of using his official Facebook page to address the issues I raised against him in a decent, sober manner befitting a mayor. Perhaps his social media managers (and I know he has social media managers as well as trolls in his employ) should keep him from damaging his own reputation by behaving like a common buffoon. He should be warned, at the very least, that writing libelous comments such as “Drug Lord Codilla” could earn him sued. 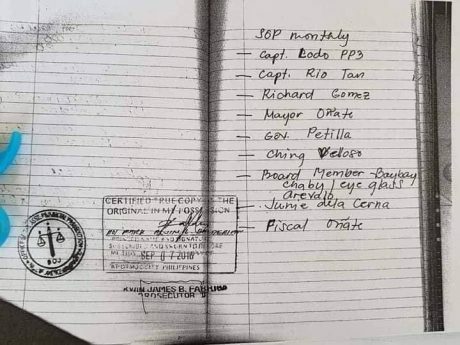 Since he brought up the issue of drug lords, as far as I can remember it was Gomez’ name and not Codilla that was uttered in a Senate investigation on the so blue book of slain Albuera Mayor Rolando Espinosa. Sen. Sotto: Sino yung mayor ng Ormoc? Police: Aah… Richard Gomez, your honor. Sen. Sotto: Based on your information, all of them are involved in the Espinosa group? Police: That the statement of mayor Espinosa himself your honor. As of this writing, I was told by my contacts in Ormoc that Gomez has rounded up his social media operators and even called punong barangays to a meeting. For a “cheap writer” such as Mayor Gomez calls me, what I wrote here on Get Real Post sure caused a lot of damage to his fragile pinoy artista ego. Previous Article The late Henry Sy is NOT the bad guy in the story of Philippine poverty. FILIPINOS are. Is the codilla administration are they not corrupt. During the term of beboy codilla why he can’t stop the drugs in mabini and even the brgy. Capt who is a female and now in jail why he didn’t stop it. Give me reason. During their term for long time why ormoc is like a growling and ghost city. What project he made with royalty fund that even the city stage was like a garbage. Now who’s corrupt. How can stupid voters of Ormoc City elect a Mayor, who is not doing his job ? The dude is not even a resident of the city. And, he rarely show up for work…How can they elect his wife, who is part of the corruption ? The people of Ormoc City, must ask for “Recall Election”, to fire these husband and wife jerks. It is the fault of the people, to allow these stupidities to go on in their city. Recall Elections are needed, to remove, not deserving elected officials !